This white peak towers 5964m above sea level. 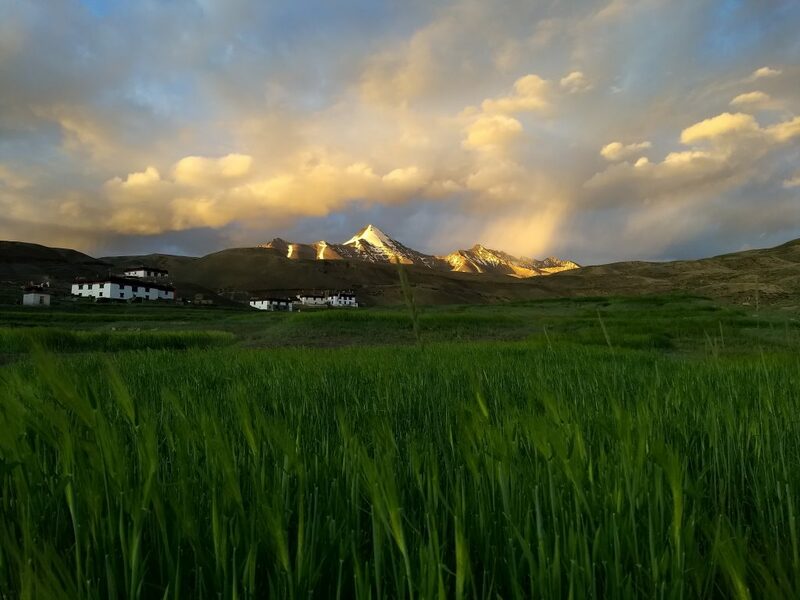 Located above Kibber and Ki gompa, the holiest mountain in Spiti, the mountain has a nice gradual slope with a generous saddle suitable for beginners. Although a bit daunting to outsiders, the locals can climb and return in a single day quite easily(even the children) so don’t worry if you think it might be too hard – you can do it! Ka means white or auspicious and Namo means hostess or a lady so Kanamo means the mountain is a good omen or simply a white hostess. On the first day we travel from Kaza to Kibber, staying overnight in the Highest Village in the World! Early the next morning we begin our trek from Kibber to Kanamo Basecamp where your personal cook will prepare hearty mountain vegetarian food in preparation for the next days ascent. Basecamp is equipped with modern tents and hygienic, composting toilets. The following day we make the rewarding ascent to Kanamo summit nearly 6000mts above sea level. As you take the final steps to the summit of the mountain, you will be overcome with powerful raw emotion and an unbelievable feeling of achievement. The return trip is much faster as it is down hill and we will climb down to lunch at Kanamo basecamp and then proceed directly to Kibber for dinner and a warm Guesthouse bed. The next morning we take you back to Kaza for a final evening swapping stories over dinner at our premium Kaza guesthouse. One of the best beginner mountain climbing trips in India!